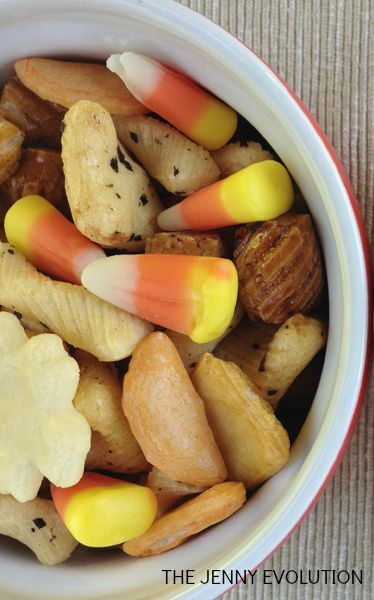 You can easily create the perfect mix of savory and sweet with some Candy Corn Snack Mix. While there are a number of recipes out there to create your own salty snack mixes from scratch, we’re using a little rice cracker mix and a nut mix here. 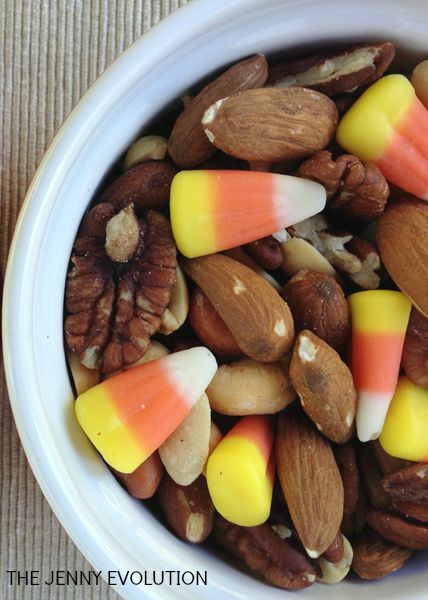 Mix in the some candy corn and you’ve got a sweet and salty treat you guests are going to love! It’s perfect to serve throughout the entire fall for both Halloween and Thanksgiving! This snack mix is one of those simple recipes you can easily serve, but the combination of ingredients will delight your guests. 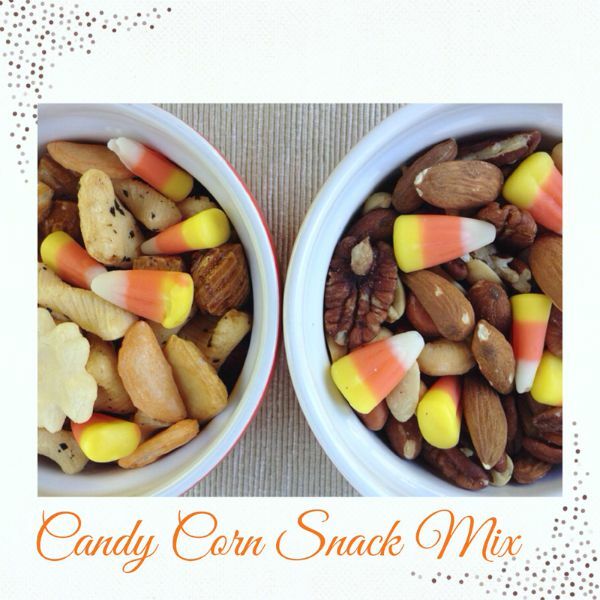 You can make two mixes with this group… use 1 cup of Rice Crackers or Mixed Nuts with 1/4 cup Candy Corn. Or feel free to mix them all together! Like I said, it’s a super simple recipe but a surprising combination. And because you’re using nut and rice cracker mixtures, you don’t have to buy a lot of individual ingredients! 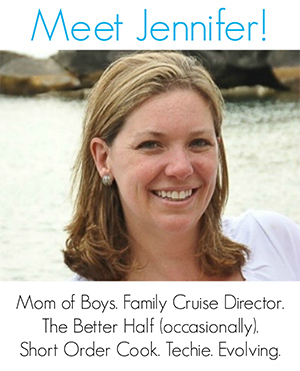 I found your post on the KBN Thanksgiving board and will be sharing it in a Thanksgiving roundup on my blog on Friday. Thanks! My boys would love this; I do buy one bag of candy corn for them during the halloween season because they just love it so much. Funny, because neither my husband nor myself enjoy it in the least.